The city council unanimously gave mayor Jose “Joey” Torres a 60-day temporary appointment of acting finance director Fabiana Mello on Wednesday night. Council members questioned Mello’s qualifications and readiness to assume control over the finances of New Jersey’s third largest city when the mayor appointed her as acting finance director in July. Maritza Davila, councilwoman at-large, asked why Mello was being appointed on a temporary basis. Business administrator Nellie Pou responded the acting finance director completed her certified municipal finance officer (CMFO) exam, but will not receive the results until February. The CMFO certification is a requirement for the civil service chief financial officer position. Mello said she took the exam last week and is waiting on the results. Kenneth Morris, councilman at-large, raised questions about her residency. He asked whether she plans to move into the Silk City to satisfy an ordinance requirement that calls for all department directors to reside in Paterson. Mello responded in the negative. This will require the council to pass a waiver prior to approving a permanent appointment. Torres’ cabinet is largely made up of non-city residents. Morris said he has been “beaten up” for approving non-residents for director positions by residents. He thought those who are making decisions about taxation and finances should be city residents. “Folks like to know people making those decisions are feeling the pain they are feeling,” said Morris. Council members often point out unperturbed faces at the administration’s portion of the dais when residents protest tax increases and share stories of being pushed out of their homes due to tax hikes. The same is pointed out when the administration proposes spending and tax increases. 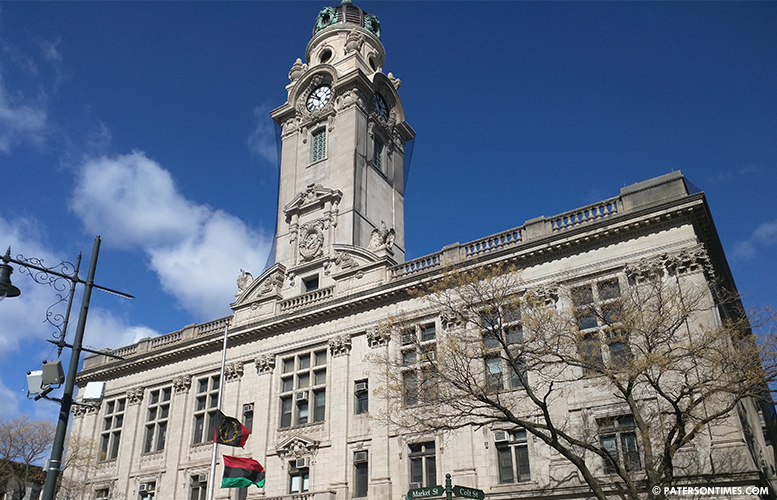 “Historically, all of your former CFOs have lived outside of the city of Paterson,” said Pou. She said this has been the case for 30 years. Morris said there are qualified residents in the city that can fill the post. Alex Mendez, councilman at-large, without mentioning a name, said at least one city resident applied, but was overlooked. Mendez was alluding to Flavio Rivera. Rivera has the necessary qualifications for the position and lives in Paterson. Rivera said he did not apply this time around back in July. He is employed as the treasurer of Passaic County. The business administrator said the position was well advertised and an “exhaustive recruitment” did not produce any local candidates. Council president William McKoy remarked: “We all know, in many jobs, before the advertisement goes out, the name is already slotted.” He said qualified people do not apply when the message is given that no one from this city has filled a given position for decades. “They get the message,” he said. The council amended the resolution prior to approving it in a 9-0 vote. Morris was uncomfortable in passing a resolution that stated Mello had “distinguished herself” as the director of the treasury and continued to do so as finance director. “I can’t attest to that; I don’t evaluate Ms. Mello,” said Morris. Some council members wanted the city’s corporation counsel’s opinion on the modification, but he was not present at the meeting. McKoy inquired about the absence of corporation counsel Domenick Stampone at the meeting. “When there’s a meeting corporation counsel’s job is to be here. Where is he? There should be no meeting without corporation counsel present.” He said if he couldn’t make it a deputy should have been at the meeting. McKoy also found fault with some of Stampone’s legal advice. He also shared a poor experience he had calling the law department. Pou said the assumption was the meeting would be mostly about the departmental budget hearings. The city had a special meeting in between the budget hearings to consider a single item. Mello began working as assistant treasurer in the city in 2015. She spent half-decade working at various private sector accountancies after obtaining an accounting degree from Montclair State University. Torres promoted her to the director post for a $120,000 salary. The mayor will have to seek another extension or permanently appoint her to the post with confirmation from council members after the 60 days end. “We can ill afford a void in this position at this time,” said Morris.